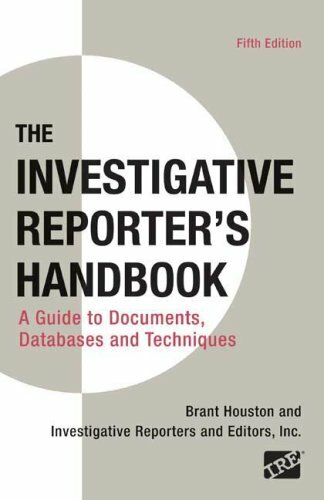 Published with Investigative Reporters and Editors, Inc. (IRE), The Investigative Reporter’s Handbook is the best-selling classroom and newsroom classic. Useful as a textbook in advanced journalism courses and as a reference for professional journalists, this book shows students how to use fundamental news reporting and writing skills like gathering sources, tracking information, and interviewing to pursue investigative stories in a variety of beats — from the government and education to healthcare, the environment and real estate. In addition to discussing the latest techniques and challenges in the profession, the fifth edition is now thoroughly streamlined, making it easier to locate the resources that investigative reporters need to get the story. If you have any questions about this product by Bedford/St. Martin's, contact us by completing and submitting the form below. If you are looking for a specif part number, please include it with your message.